How are people living in poverty affected by the natural disaster/s? 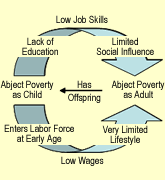 Poverty is a vicious cycle of which traps and depletes future generations potential. Children born into poverty will grow up in poverty and give birth to children who are brought into the cycle of poverty. 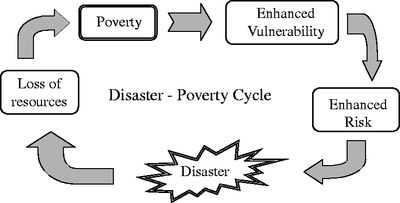 Natural Disasters only deepen the poverty within a family or community and makes it harder to break out of the cycle. 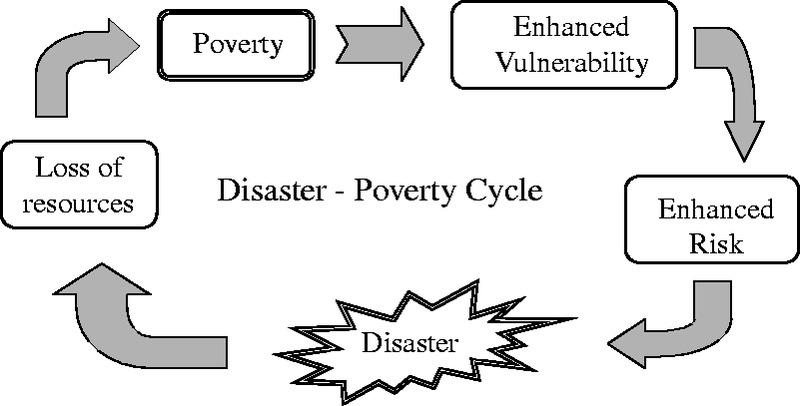 Without reduction of economic and lifestyle impact of natural disasters in poverty affected areas all means of funding for getting people out of poverty is ineffective. Funds would be spent rebuilding from a disaster and getting to a liveable standard instead of directly spent on the underlying problem; Poverty. Poverty itself can physically, mentally and emotionally drain people and the resources/money they possess, therefore natural disasters adding to this cycle can only mean struggle and hardships which is what we want to avoid for ALL people. WE WANT A HAPPY, HEALTHY PLANET FULL OF HAPPY, HEALTHY PEOPLE.